Looking for tips for lower back pain? We can help! We have been providing expert guidance for lumbar dorsalgia sufferers for over a decade and have amassed a huge collection of helpful advice for anyone who must cope with low back ache. We always recommend that patients seek qualified care from physicians when it comes to treating lower back pain. Doctors are also great sources of advice for patients and it is important that every patient has a healthcare provider who they can trust and rely on for solid guidance. However, your numerous letters, emails and social media stories have proven to us that many of you have been failed by the medical system and do not know where to turn for helpful advice. We are happy to fill this void and promise to be here for you whenever you need us. This resource section provides helpful guidance based on our collective experience from research, clinical practice and personal experience over several decades of time. If you are looking for advice about a particular aspect of low back pain, then this is the right resource section for you. Get involved in your own healthcare. Advocate for yourself and keep your eye on the big picture of health, since doctors will try to compartmentalize particular aspects of health during treatment. Learn all you can about any diagnosis or condition that is relevant to you and your pain. Invest time to grow your knowledge base so you are educated and can properly converse with healthcare providers about your pain. When it comes to diagnostic verdicts and treatment recommendations, always question everything you are told. Never accept anything at face value, but instead look for inconsistencies in order to help verify the accuracy of the information your have been provided. These 3 tips have literally saved lives and continue to be the most helpful guidance any patient can ever hope to receive. It is amazing how many patients do not do these things organically. If you will not actively protect your own health, how do you expect others to do so? We are happy to provide lower back pain advice. If you need help, this is a great place to start on your quest for low back pain information. Remember that needing help for lower back pain is reasonable and expected, but you must also help yourself through proactively and not passivity. Lower back pain facts are not always common knowledge. We have collected and propagated some of the most important truths of lumbar dorsalgia in this vital essay. Is low back pain prevention more important than treatment? It might be in some instances. Learn how to prevent lower back suffering effectively. 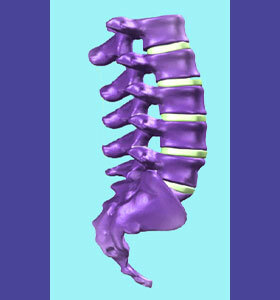 Providing lower back pain guidance is our primary mission at The Cure Back Pain Network. We work tirelessly to help those who need it most: people with chronic and debilitating pain. Is there an easy solution for low back pain? Is there any solution at all? These are common questions asked by desperate patients who have tried everything. How effectual can a home remedy for low back pain really be? Is home care right for my needs? The answers might surprise and delight you. It is always best to find a cure, rather than just symptomatic reduction. However, some pain will not resolve. In these cases, learning effective lower back pain coping strategies will help a patient to live better. Many of these methods are taken directly from my coaching practice. Lower back prescriptions might be pharmaceutical in nature, but other options exist also. Some might really shock you with their simplicity and effectiveness. We write the highest quality lower back pain articles to keep you up-to-date on the latest lumbar pain news and treatment offerings in the industry. We also regularly particulate in clinical studies for low back pain and help patients to receive help before it is available tot the general public. Our social media sites act as a great low back pain forum. You can share your experiences and correspond with other patients. Still looking to have a specific question answered? Check out our lower back pain FAQ section to learn more. If you have been given advice by a product manufacturer or care provider, always consider the motivation behind the guidance. Is the suggestion truly geared towards bettering your health and reducing your pain or is it just a sale’s pitch? Will you benefit from the recommendation or will the result simply net the adviser money? It is a real shame that modern healthcare has come to this, but patients are warned that healthcare is a business. Many practitioners are in business with the primary goal of making lots of money. If this money comes at your expense, then so be it. They do not really care about you. They just want your cash. If you feel any semblance of this sad truth during your interactions with a caregiver, please do yourself a favor and look elsewhere for treatment. Remember, we are an advocacy organization. We do not benefit from giving you advice, except for the peace of mind it provides us, the sense of justice it imparts and the balance of power it shifts towards the worthwhile recipient: the patient.